The church is built of dark-coloured brick Its main part is built on a square plan and has a low pyramid roof with a slender cross at the apex and narrow horizontal windows beneath it. In front is a lower entrance area with a pitched roof. 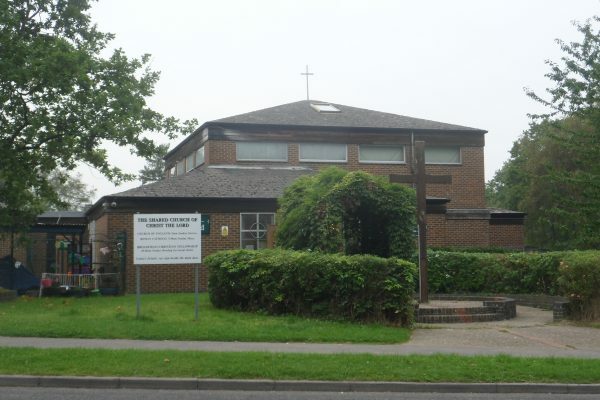 Dating from 1980-81, it is shared with the Roman Catholics and United Reformed Church.